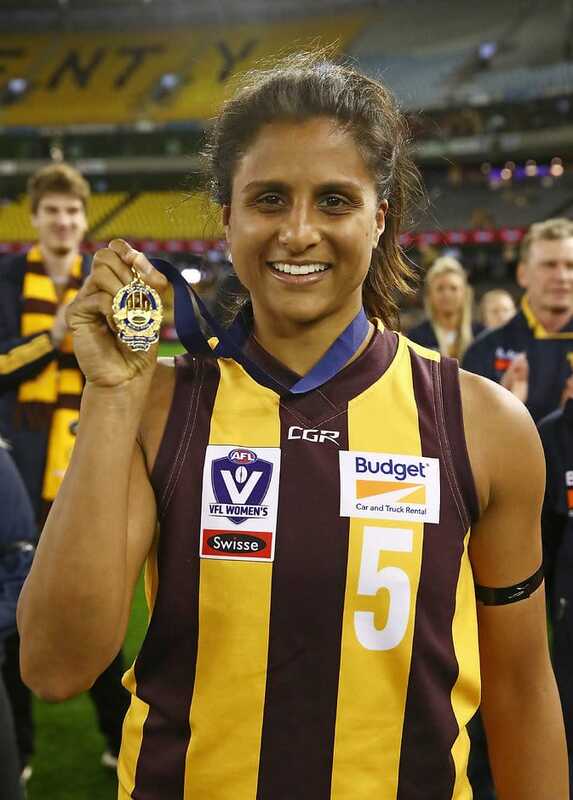 PCM: The VFLW Awards Check out who won the various awards presented from the 2018 season. A best on ground performance in the Grand Final will hold Chantella Perera in good stead in next week's AFLW Draft. The success of Hawthorn VFLW’s year looks set to continue at the AFLW Draft next Tuesday. A total of 16 members of the premiership-winning squad have nominated for the draft, including 10 players who were involved in the Grand Final win over Geelong in September. Winner of the league’s Rising Star and the club’s best and fairest awards, Jayde Van Dyk has been touted as a potential number one pick next week. The 22-year-old played a starring role in the premier’s backline this season, impressing with her football smarts, agility and skill level. Other Hawks who have attracted interest from club recruiters ahead of the draft include Emily Gilder, Chantella Perera, Ebony Nixon, Tahni Nestor and Olivia Flanagan.